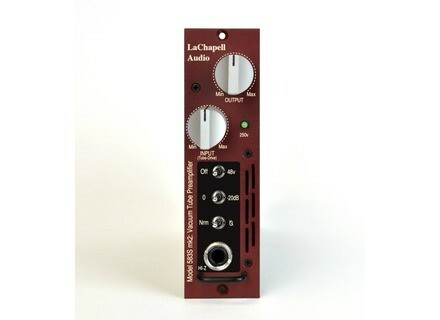 583s mk2, Tube Pre-amp from Lachapell Audio. LaChapell finally reduced the size of its 583s tube preamp, which now fits in a single 500 bay. The 583s mk2 is still based on the 992EG and retains from the original its 12AX7/ECC83 valve, its CineMag CMOQ output transformer as well as its Burr-Brown and THAT Corporation balanced output drivers. The price of the original version was $945, let’s hope the size reduction will also affect the pricing. [NAMM] New Mackie CR powered monitors Mackie introduces the new Creative Reference series of ultra compact powered monitors, that debuts with two models. The Tascam DS-05 recorder updated to v2 Tascam released a free update for the software of its DR-05 pocket recorder in order to add new features. Allen & Heath updates its Qu mixer firmware Allen & Heath announces the availability of the new v1.5 firmware of its Qu digital mixer series.